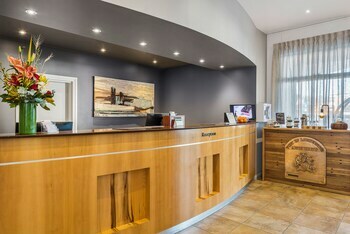 Peppers Seaport Hotel is in the heart of Launceston, walking distance from 1842 Gallery and Royal Park. 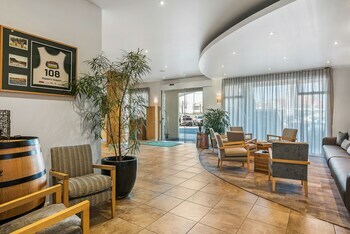 This 4.5-star aparthotel is within close proximity of The Town Clock and Boags Brewery. Make yourself at home in one of the 60 air-conditioned rooms featuring refrigerators and LCD televisions. Complimentary wireless Internet access keeps you connected, and cable programming is available for your entertainment. Private bathrooms with showers feature hair dryers and bathrobes. Conveniences include phones, as well as safes and desks. Make use of convenient amenities such as complimentary wireless Internet access, concierge services, and babysitting/childcare (surcharge). Guests can get around on the shuttle (surcharge), which operates within 16 km. Enjoy a meal at a restaurant, or stay in and take advantage of the aparthotel's room service (during limited hours). Quench your thirst with your favorite drink at a bar/lounge. Breakfast is available for a fee. Featured amenities include complimentary wired Internet access, a business center, and express check-out. Planning an event in Launceston? This aparthotel has 1076 square feet (100 square meters) of space consisting of a conference center and meeting rooms. Self parking (subject to charges) is available onsite. Peppers Seaport Hotel is an ideal Launceston lodging choice for your trip to Australia. 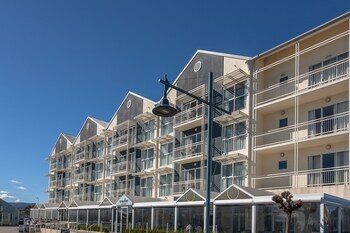 With numerous amenities for guests such as concierge, parking - self, dry cleaning service, you will wake up at Peppers Seaport Hotel feeling ready to go every day for your time in Launceston. 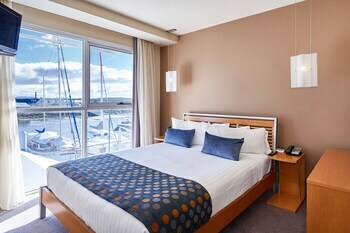 Don’t let this amazing reservation opportunity pass you by, book your stay at Peppers Seaport Hotel today to make the most of your time in Launceston, Australia.